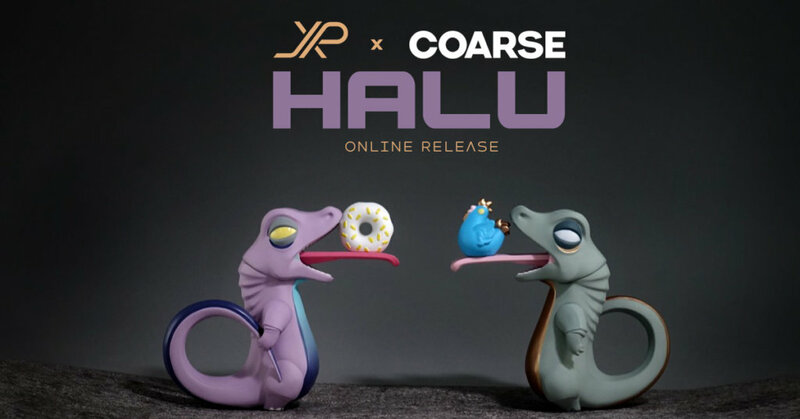 Date all set for the launch of Halu เหี้ย illusion and Shine edition from JPX x COARSE! Like we said previously HERE. It must be breeding season right now in Thailand and Thailand’s Monitor Lizard are preparing to invade all livestock and doughnut shops! HA, fake news so don’t you worry. But what isn’t FAKE is the fact new colours are just over the horizon for the 3.5″ edition Halu. For those who’s been waiting for the smaller Halu 3.5″ version with the doughnut, this will be your chance to own one. Halu 3.5”: Shine : Get out!!! Selling location: J.P.Toys Gallery and Online. JPX will start selling on December 8th at 21.00 (9pm Thai time) *Times have not been confirmed, stay tuned for an update.